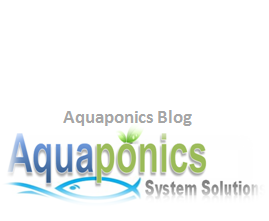 There are specific considerations to look out for when choosing aquaponics fish tanks for your system. One very important point to take note of is the fish tanks size in correlation to your growbed. Now, if you have been following my articles or blog posts, my recommendation is and has always been 1:2, growbed to fish tank ratio. In some cases 1:1 depending on the aquaponics fish species you have chosen. 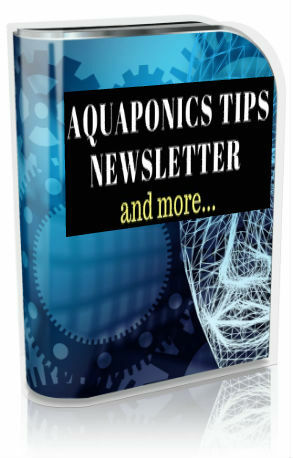 Anyway, here’s a brief guide you can use to help you pick the right aquaponics fish tanks. Waterproof – Well, naturally the tank must be watertight. If you have opted for a used tank, it is important to do a leak check. This simply means filling up the tank with water. Inspect for any water leak or wet surfaces on the tank resulting from a leak…you know. Should there be leaks, just use marine grade silicone or rubber gaskets to seal them. Sturdy – It must be strong enough to withstand the total mass weight of water that acts against it. Bear in mind that 1liter of water weighs in at around 1kg. So, if you have a 200 liters of water that’s 200kg in weight acting against the fish tank. And there’s also the pressure form flowing water as well to be considered. Toxic Free – It is critical that your aquaponics fish tank is does not consist of toxic material that is detrimental to your fish or to the plants. This is especially true if you have chosen a used tank for your aquaponics fish tank. This is absolutely fine, just make sure it is clean of toxic substances, and that it had not been used to contain any toxic substances before. Must Be Neutral – Ensure that the material of your aquaponics tank does not affect the pH or chemical balance of your system. It is recommended not to use metal containers. This is because metal containers tend to rust or corrode and the corrosion produced will greatly affect the water chemical balance of your aquaponics system. Now, the argument here could really be a comprehensive one. There are “aquaponians” who swears by a 1:1 fish tank to growbed ratio and there are others who would not agree to anything other than a 2:1 ratio. To me, it all depends on the geographic location that you are in and the type of fish and plants that you choose for your aquaponics system. My philosophy is simple. If the fish are happy, so will your plants grow healthy and tasty. And the more space and depth you have for the fish to swim, the happier they are. And I’ll leave it at that. 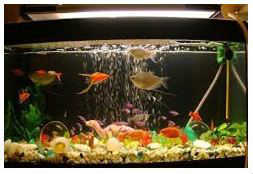 Nevertheless, you can increase the ratio to 2:1 if you have Tilapia as your aquaponics fish. Tilapia is known to strive in congested living conditions so, you can in this scenario safely design your system with your aquaponics fish tank half the size of your growbed. This will actually provide a better filtration in your aquaponics system and added long-term benefits for your fish’s health. If you have you have a small 20 to 30 liter aquarium that you want to convert to an aquaponics set-up, you will then only be limited to growing only small aquarium fish in the likes of guppies, tetras and the sort. But on the other hand if you have a 200 gallon aquaponics fish tank that is 2 feet deep, you can grow from 50 to 100 Tilapia fish in it. You need to do the calculations right in terms of the number of plants that you should grow in order to accommodate the number of fish that you have. A rough calculation would be an inch for a gallon of water. 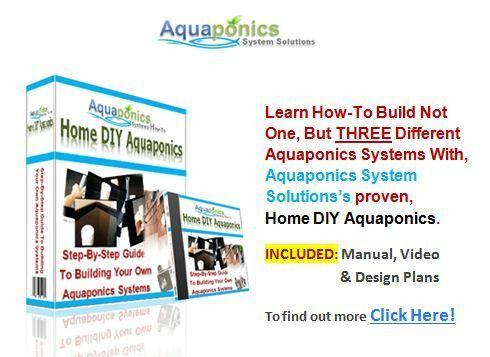 You can learn more about it from our Home DIY Aquaponics guide. There’s really no ideal shape for aquaponics fish tanks, but having said that rounded or oval shaped tanks tend to be my favourites. One of the main reasons why is that rounded tanks save better space. I would need only a 3 feet diameter of space for a 100 gallon rounded tank. For a rectangular tank however, I would need at least a 3’x4’ of land. The other reason why I like rounded or oval tanks is that they promote better water circulation hence, minimize dead zones in the fish tank. Dead zones are areas in the tank where there’s minimal water flow thus, preventing proper chemical exchange to take place. It is important where you choose to put your fish tank. I would say that it’s common sense not to place it on top of a weak support as it may crumble and collapse. And it’s always a good idea to place it in an area where there is a minimal temperature fluctuation. Bear in mind the fish species and plants that you grow would depend on the temperature of the environment that you choose. I would always recommend to cover-up your fish tank. Well, this is to avoid “kamekaze” fish from jumping out of the tank as well as preventing unnecessary external elements from going in. As final thoughts, please allow me to reiterate, it is important to choose strong, sturdy, non-toxic and water tight aquaponics fish tanks for your system. You can either diy, build your own or purchase large stock tanks for the purpose the rules apply to both. 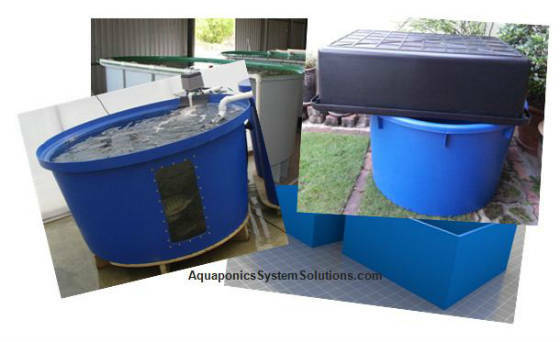 Nevertheless, here are some aquaponics fish tanks that I have found to fit all the above criteria. 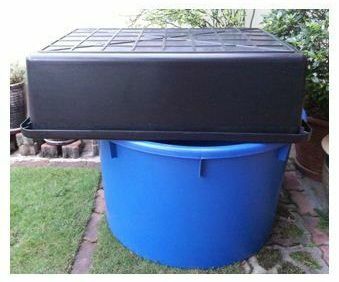 Here you will find 100 gallon aquaponics fish tanks which I have matched with 50 gallon growbeds to make a 1:2 growbed to fish tank ratio (click on any of the images to find tank of different sizes). 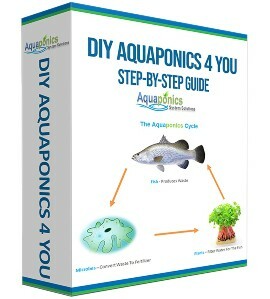 Or if you like, opt for the DIY Aquaponics kit by AquaBundance.